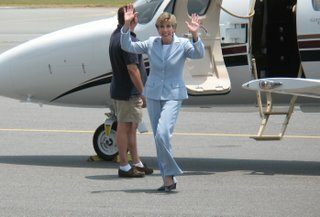 Cotton Patch Politics: Cathy Cox jets into Macon today! 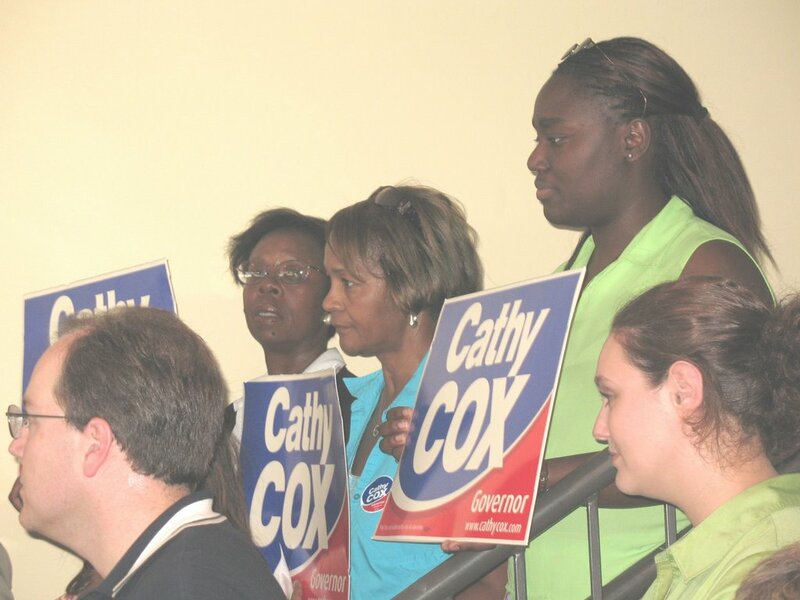 Pictures taken at Herbert Smart Airport in Macon, where a goodly crowd of supporters and media greeted Cathy Cox at about 1:45 today, Monday, July 17. 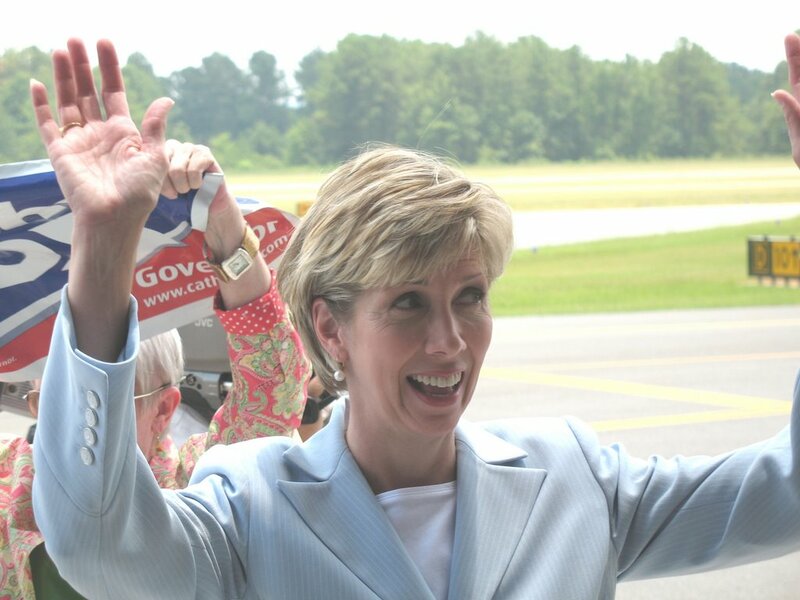 Cathy looks sharp as usual in that blue pant suit. Thanks for sharing those with us. I was using my telephoto lens so I was too far away to scare anybody! Besides, that was a look of joy and surprise to see all of us cheering Democrats out there in the heat! Herbert Smart Airport is way out in rural Bibb County.